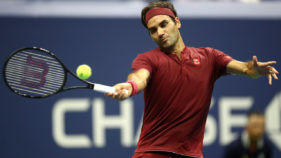 Five-time champion Roger Federer crashed out of the US Open on Monday, stunned by 55th-ranked Australian John Millman who booked a quarter-final clash with Serbian star Novak Djokovic. Maria Sharapova was knocked out of the US Open in the fourth round on Monday, losing 6-4, 6-3 to Spanish birthday girl Carla Suarez Navarro who inflicted the Russian's first ever night-time loss at the tournament. Is it sunset for the Venus, Serena sibling rivalry? When the draw came out, it presented their likely meeting in the third round, 20 years after their first clash at the US Open in 1998. 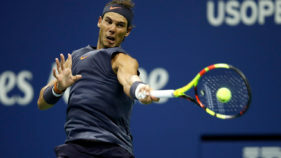 World number one and defending champion Rafael Nadal steamed into the third round on another scorching day at the US Open on Wednesday with a straight-sets win over Vasek Pospisil. 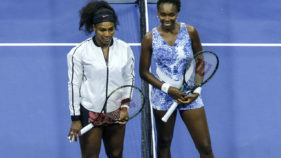 Serena and Venus Williams will clash for the 30th time on Friday with a place in the last 16 of the US Open at stake. 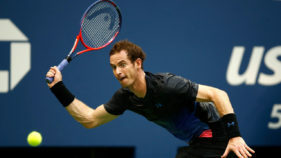 Andy Murray's first Grand Slam in more than a year ended with a second-round exit at the US Open, where he fell in four sets to Spain's Fernando Verdasco on Wednesday. 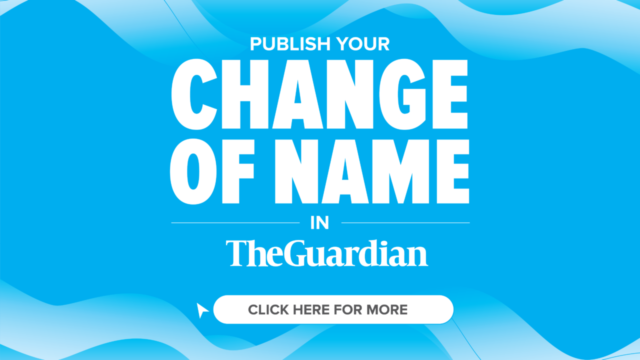 Andy Murray is now the British men’s number 23 after he dropped to 839 in the world rankings following his injury problems. World number one Rafael Nadal won his 16th Grand Slam title and third US Open crown on Sunday by defeating South African 28th seed Kevin Anderson 6-3, 6-3, 6-4. 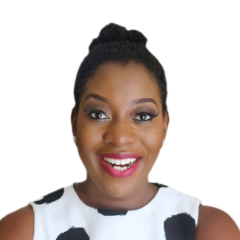 Sloane Stephens, who missed 11 months with a left foot injury before returning in July, reached her first Grand Slam final by outlasting Venus Williams 6-1, 0-6, 7-5 Thursday at the US Open.